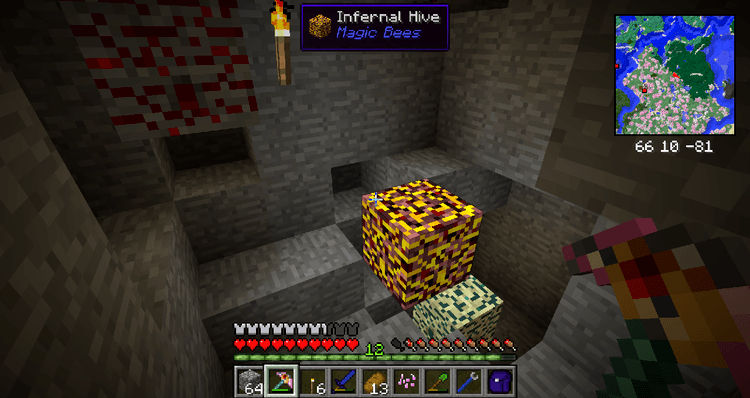 Magic Bees Mod 1.12.2/1.11.2 is a mod programmed and designed in the form of add-ons mod for Forestry mod. Forestry mod is a mod of agriculture, plant and breeds some great plants in Minecraft community all around the world. If you are a person who is interested in breeding new kinds of plants and being curious about the methods to create a harvesting machine and automatic crops, let’s try Forestry. 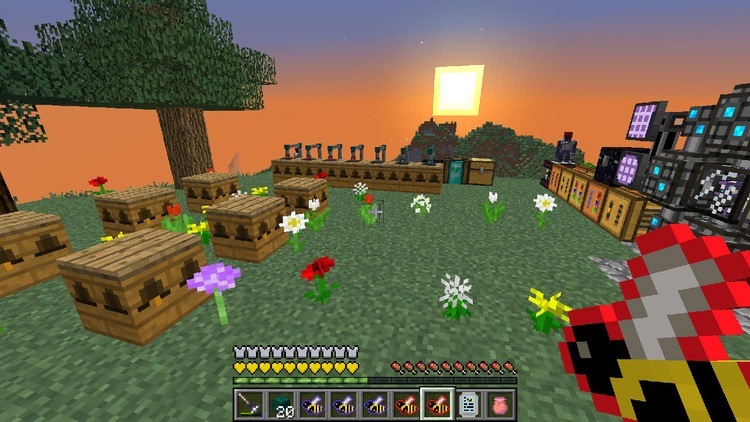 In Forestry, there is a unique and new system considered as a remarkable success and fame for this mod, named the system of breeding plants by bees. Depending on kinds of bees that the players can use, the bees in Forestry have allowed the users to invent new types, helping the players keeping and harvest several kinds of unique fruits and vegetables or distinctive woods. With these bees, the players can collect Comb – allowing them to get new ingredients. From that, they can use those materials to create useful things. However, the limit of Forestry mod is this mod only focuses mainly on the side of agriculture and plants. Additionally, the system of bees has only created with a main purpose of breeding plants. 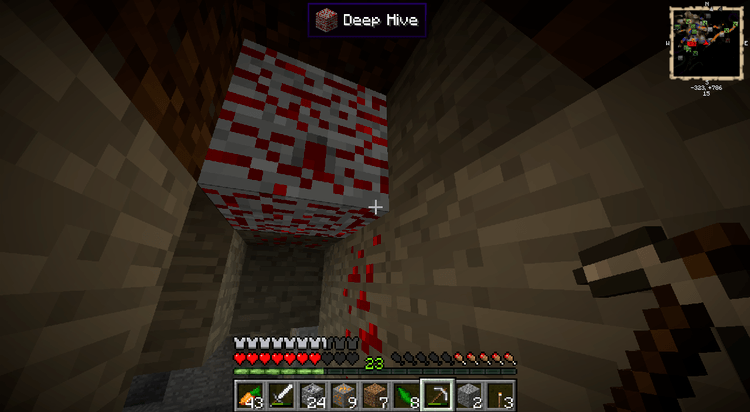 However, with Magic Bees Addons Mod, Forestry has added more than 100 types of different bees to combine with other similar mods. Therefore, it can help the users create more kinds of Comb and used comfortably to survive. 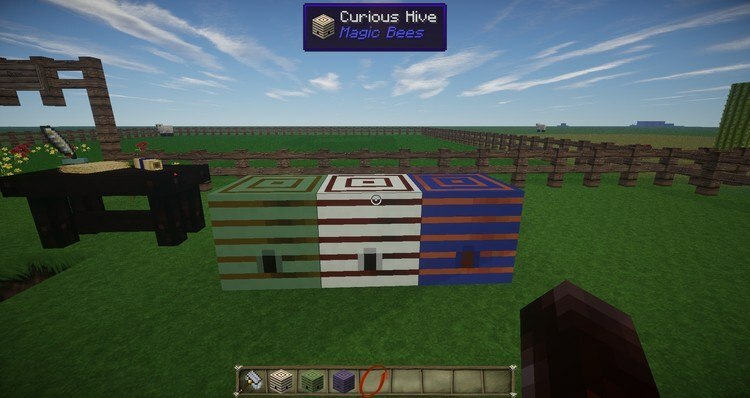 Magic Bees uses to integrate Forestry with some magic mods such as ThaumCraft, Equivalent Exchange, Ars Magica, and Tinkers’ Construct; moreover, requiring Forge Mod Loader, Forestry and Minecraft version 1.7.10, 1.11.2, 1.12.2. Download Forge Installer, Forestry, and Magic Bees.jar file.